Looking back at my half-centurion birthday wishlist, I have no regrets for not achieving or fulfilling all of them. I must say I am happy still that I've managed to add and achieve a few unplanned ones too. I've decided to do away with my wishlist and for 2015, I'm starting afresh! 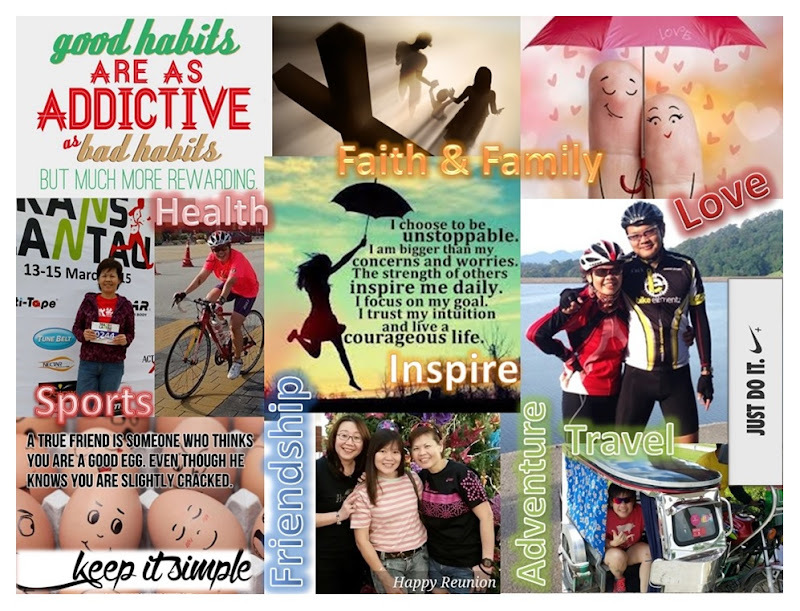 There's not going to be any wishlist but challenges that will be undertaken in spontaneity. Yup ... I'm going with the flow. 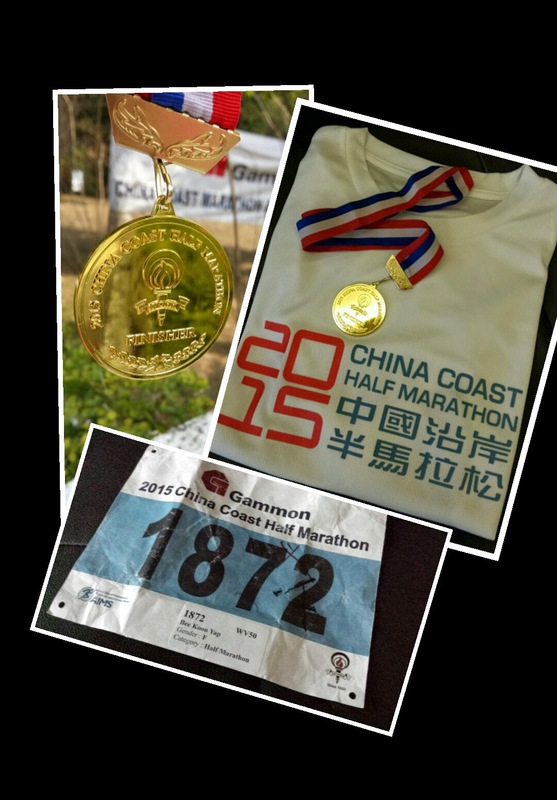 Last Sunday I completed my first adhoc challenge of the year ... Gammon China Coast Half-Marathon in Hong Kong. Lo Kong had been overly optimistic about running the Vibram HK100 that he had purchased our air tickets months in advance. However, since he had not been successful in getting balloted, he substituted the event with a full marathon that was organised on the very same date. On the spur, I signed up for the half-marathon even though I'm still suffering from ITBS. I was worried that I did not have enough training to complete the event due to the persistent pain in my right knee. Anyhow, a run-walk-run-walk strategy helped attained a medal with a finisher T. Of course the timing wasn't great but the main focus on my mind was to finish the distance no matter what. Another 21km challenge is up next weekend ... Nike's We Run KL. Fingers-crossed, I can do it again.